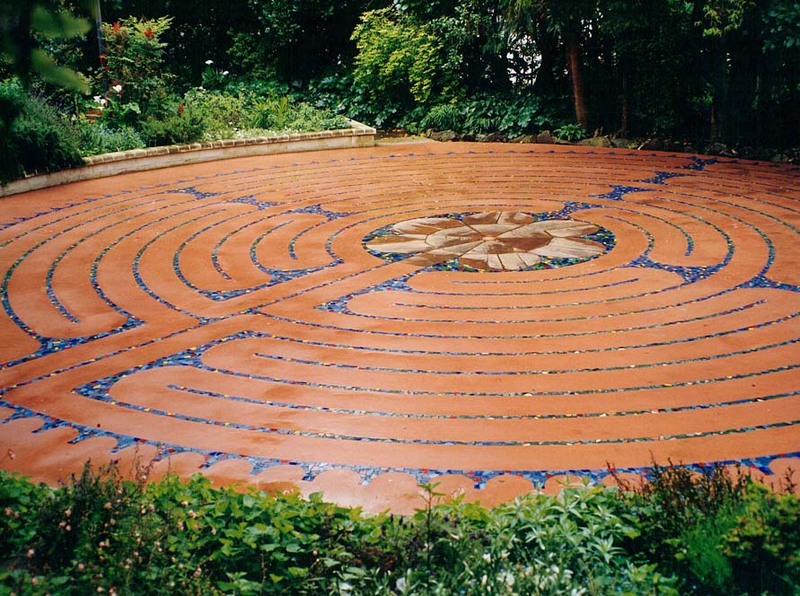 This labyrinth, originally built in the beautiful grounds of Frederick Wallis House in Military Road, Lower Hutt, is based on the labyrinth at Chartres Cathedral. 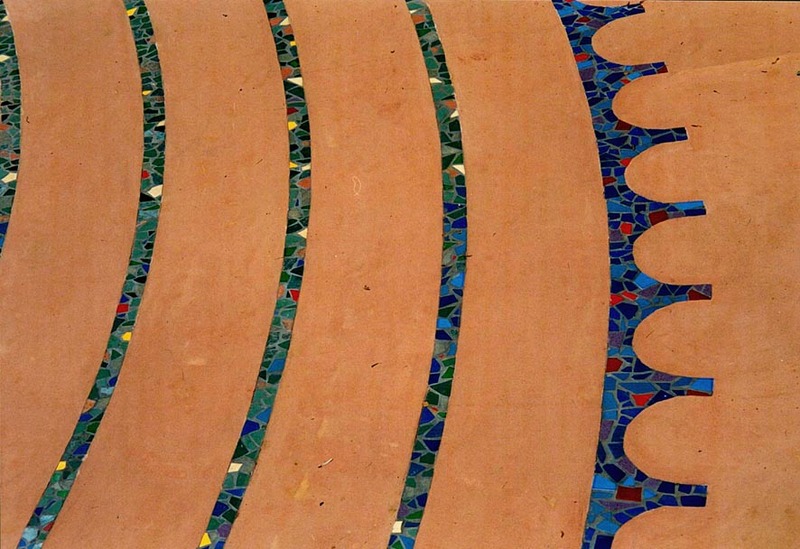 Our job as designers was to suggest materials (we strongly felt a tile mosaic was the only appropriate option) and then to select colours and suitable tiles… and then find a way to build it within their tight budget! 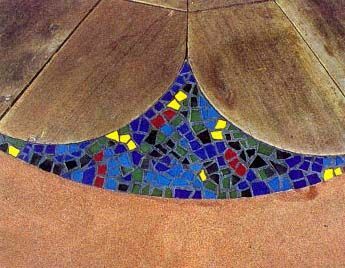 I rashly suggested getting the Friends of the House to do the tilework so then was entrusted with teaching about 40 people how to do mosaics – and then overseeing the work to control the overall quality and colour gradation theme etc. 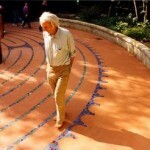 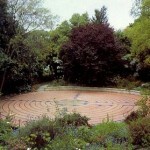 The construction of the labyrinth was a massive community project – and many would say a labour of love! 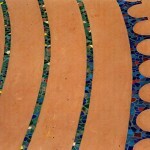 – spanning two years and involving dozens of dedicated volunteers plus the specialist skills of many talented people. 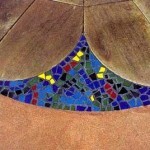 Engineers and mathematicians, artists and historians, all played a vital part in the project. 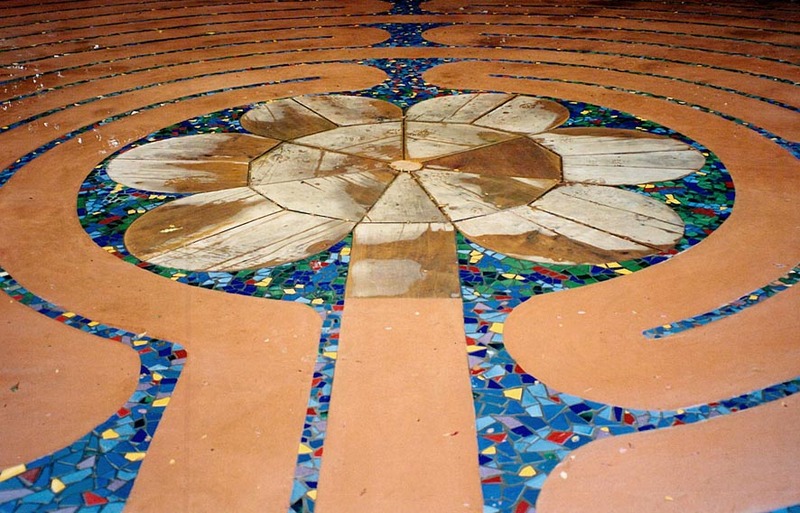 When completed it sat like a richly coloured jewel in a sunken garden, surrounded by mature gardens and spectacular mature trees including groves of Kowhai trees and mixed exotic specimens. 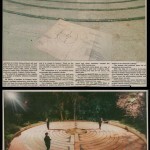 With the demise of Frederick Wallis House the gardens and house were largely obliterated. 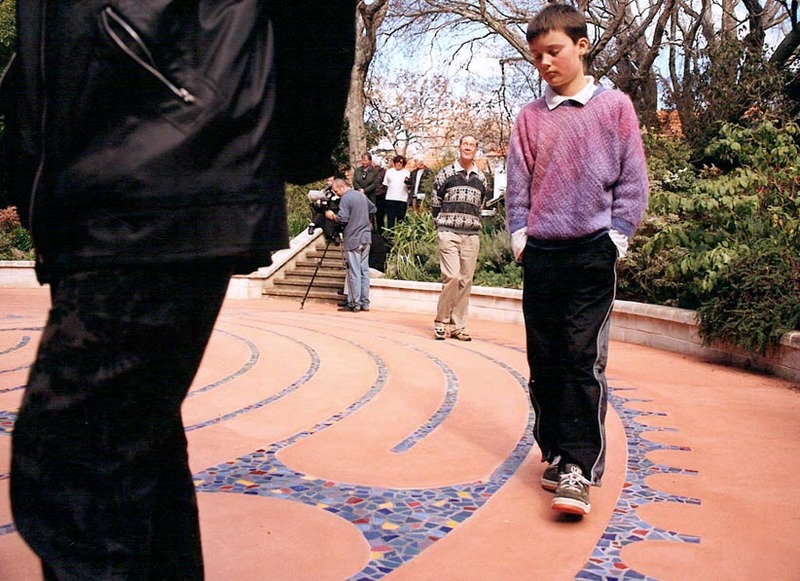 However the outcry that followed the threat to the Labyrinth encouraged the developer to attempt to move it to a suitable second home. 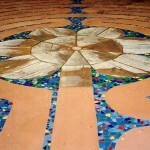 This was only possible due to the thorough reinforcing of the concrete base during the initial construction. 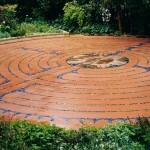 The Labyrinth was cut up into pieces like a pizza and moved down the road! 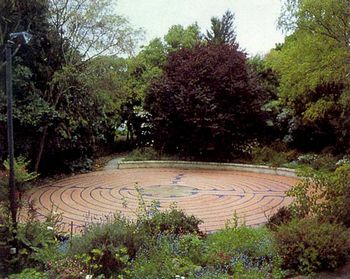 The Lower Hutt hospital grounds provided a more-or-less suitable spot and this is where the Labyrinth now rests. 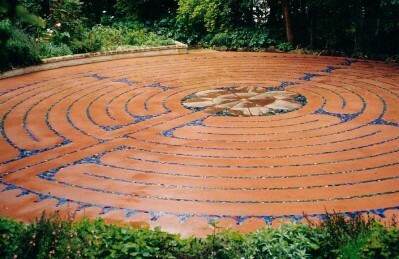 Unfortunately the new site lacks the tranquility and natural beauty of the original site but at least the Labyrinth survives. 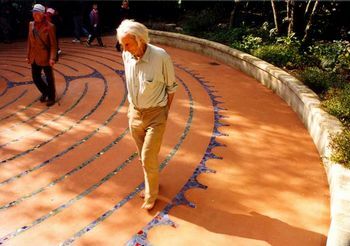 It is now available freely to the public to walk and use for its initial intended purpose – as a place of thought and peaceful contemplation, a pilgrimage of the mind. 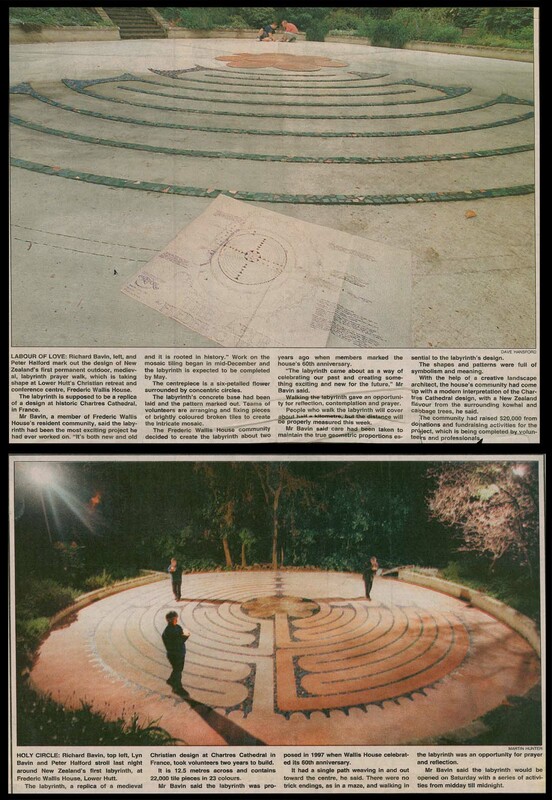 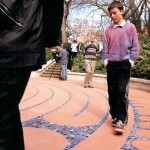 An informative article on this labyrinth appears in the N.Z Landscape magazine, Nov / Dec 1999, page 12.